Your machinery's components operate at a variety of speeds and temperatures, demanding specific lubricant viscosities for specific applications. For detailed information on our most popular products, view detailed product data sheets from the products below. Your machinery's components operate at a variety of speeds and temperatures, demanding specific lubricant viscosities for specific applications. For detailed information on our most popular products, view detailed product data sheets from the products below. Delo Heavy Duty EP greases are ideal for a wide variety of on- and off-highway construction and maintenance vehicles, including tri-axle dump trucks and cement mixers, as well as a wide variety of off-road applications, including construction, surface and underground mining, and agricultural equipment. For applications where 3% molybdenum content is required to meet OEM warranty specification requirements. A unique additive technology makes this product tenacious in adhering to metal surfaces in demanding heavy duty environments. For applications where 5% molybdenum content is required to meet OEM warranty specification requirements, a unique additive package makes this product tenacious in adhering to metal surfaces in demanding heavy duty environments. Our product to use in the most demanding applications. This product features synthetic base oil in a lithium complex thickener system. Provides excellent corrosion protection, water resistance, and shock loading capability. This product also provides excellent performance throughout a wide temperature range. It is especially effective in very cold climates or where temperature ranges vary dramatically in a short period of time. It contains 5% moly which is desired by many OEMs for off-road applications. A high performance grease specifically engineered for trailer axles and non-driven wheel-ends operating in a wide range of conditions. General purpose, extreme pressure (EP) greases for both automotive and industrial applications where a moly-type grease is recommended. Typical applications incude roller chains, gears, cables, trunions slides, sheaves, chassis, u-joints, and conveyer bearings. 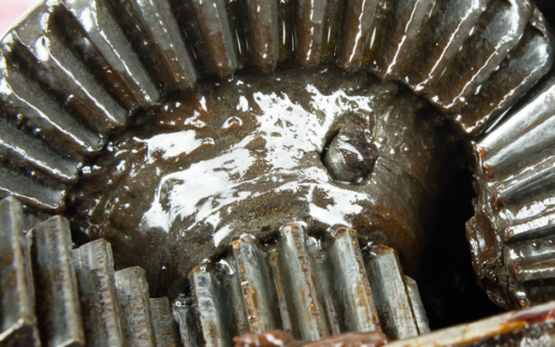 Meets the AGMA CG-1, CG-2, and CG-3 requirements and is especially designed for the lubrication of high-speed grease lubricated grid, gear or chain flexible couplings where high centrifugal forces are present. Recommended for industrial applications subjected to very high temperatures requiring a lubricant that will not melt. Typical applications are plain or journal bearings, antifriction bearings, gear cases in kiln cars, conveyors in ceramic and paint baking ovens, and shafts extending through furnaces. A high temperature ball and roller bearing grease for antifriction bearings operating at high speeds (10,000 rpm or greater), high temperatures and where water or salt water will be present in bearings. Multipurpose, high-performance grease for extreme pressure bearing applications, wide temperature range, and extended lubrication intervals. Multipurpose, high-performance grease for extreme pressure bearing applications, wide temperature range, and extended lubrication intervals. Ulti-Plex HV Synthetic Grease EP provides an alternative for high temperature applications. The uniform molecular structure of the synthetic base oil minimizes friction between moving parts and boosts lubrication performance over a wide temperature range. Recommended as a premium general purpose automotive and industrial grease where extreme low temperature performance is required. A premium quality calcium sulfonate complex thickened NSF H1 food machinery grease with exceptional extreme pressure and rust protection properties, even when subjected to direct water spray, such as in canneries, beverage bottlers and canners, and meat and poultry packers. A highly refined grease that clings to metals, resists both wash-off and spin-off, and provides cold weather and high temperature performance. Its tenacious adherence provides protection against water wash off in such industries as cement plants, construction, farming, and paper mills.